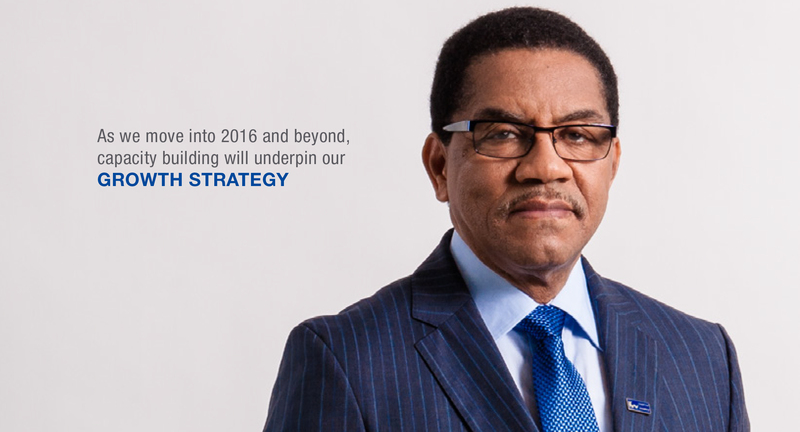 As the Chairman captured in his message, 2015 was a year of tremendous progress in moving forward the KWL agenda. We reported strong financial results and continued the transformation of our business; we are now focused on port operations and logistics services. We achieved record results at the end of the 2015 Financial Year, a 22% rise in revenues and 53% increase in profits before tax over the previous year with Group Revenues at J$4.7billion and Operating Profits at $1.6 billion; their highest levels in five years.Net profits increased by 49% from J$849 million in 2014 to J$1.267 billion in 2015, significant growth by any standard. Security Administrators Limited (SAL), the Group’s port and industrial security subsidiary, delivered noteworthy performance by recording the highest level of inflows since 2011 – 64% over the previous year. The outfitting of the KWL Terminal with a new Mobile Harbour Crane was one of the most significant moments of 2015. The mobile Harbour crane, Liebherr LHM 550, is the largest in operation on the Island and is designed to meet the demands of larger ships; it will also increase the efficiency of our stevedoring operations. The new crane is a significant component of a $600 million investment programme, which also includes two container stackers, to strengthen the terminal handling equipment mix and expand service capacity. plank in KWL’s logistics value proposition to meet the growing business demand anticipated in the year ahead. Terminal activity during the Year points favourably to our prospects for the post-Panamax era where the KWL Group intends to further leverage its capabilities as a multi-purpose, multi-user port facility, along with its growing logistics capacity, to add value to cargo in Kingston for distribution throughout the Americas. Vessel calls increased by more than 20% or 143 vessels over the 690 vessels berthed in 2014 and there was a 51% increase in the number of domestic motor units handled during the year. Domestic twenty-foot equivalent units (TEUs) increased by 24% from 69,000 in the prior year to 86,000 in 2015, while transshipment TEUs increased by 8%, moving from 124,000 at year end 2014 to 134,000 at the end of 2015. We know that logistics opportunity is as much about the build-out of the enabling physical infrastructure as it is about promoting KW’s vision and its capacity to provide the synergies derived from combined port, warehousing, and customised logistics services; all of which are operated under special economic zone status. 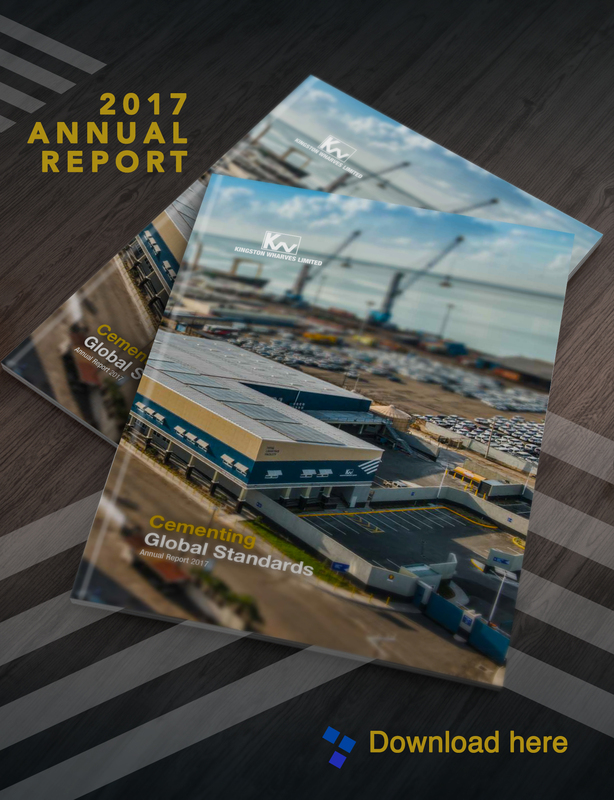 KW’s port-centred logistics presents an attractive advantage to cargo owners who are perpetually refining and streamlining efficiencies of their supply chain. In 2015, KW sought forums to present these services to key audiences, chief amongst these were the Jamaica Investment Forum and TOC Americas Conference. Participation in both highly targeted events continues to yield concrete and serious interest in our logistics services. Utilization of our IT superstructure to introduce a host of measures to simplify and automate processes involved in the movement of motor vehicles to solidify our position as a regional autotranshipment hub. Improvement in the competencies of our Team, including greater productivity and more innovative thinking, to ideally match the new and more nimble age in shipping and the provision of logistics services. We have started this development in our Team and will continue the process of alignment of talent acquisition, development, management and retention. We know the value and importance of a Strong Team; our improved financial commitment to training demonstrates our strategic focus on human capital development as an important pillar in delivering our growth strategy. Retention and continued strengthening of our position as specialist port and related antinarcotic security services. SAL’s strategic mission is focused on maximizing its potential across Jamaica and expanding its footprint as a City & Guilds accredited security training institution. The National Port Identification Centre, operated by SAL under delegated authority from the Port Authority of Jamaica, will undergo procedural, structural and equipment upgrades in 2016 to streamline operations for greater efficiency and profitability. Continued development and implementation of the framework and critical service tools to improve the quality of customer service and value proposition to our customers through the single-minded focus of the KW ACE Service Monitoring Committee on developing a culture of accountability, commitment, and excellence. Growth is the norm for the KWL Group. However, for growth to be sustainable, it must be supported by a strong institutional capacity: infrastructure readiness, business process strengthening, visionary and transformative leadership, balanced equity-debt financing and differentiable customer service. We are undaunted by this task as transformation is one of the hallmarks of the KWL Group. I have no reservations about the efforts we will make to ensure that we will do what will be required to make our strategy of Delivering Growth: Strategic Vision, Sound Investments, Strong Team, Serving Customers, a resounding success.